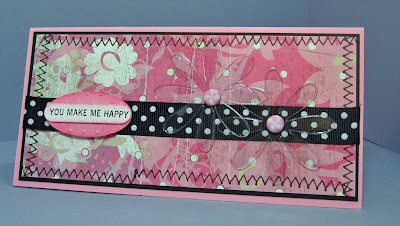 This card is for 2 DTGD challenges - Amy's challenge to make a 3 1/4 x 6 1/2 size card and use something acetate/clear on it and Lindsey's challenge to use pink and black and some faux stitching. I don't think I have ever made this size card before and I love it!! I used this pretty DP from Basic Grey and some clear ghost flowers from Heidi Swapp I've had them for a couple of months and finally opened them! It feels so good to use the stuff you've bought! The border 'stitching' is a Hero Arts stitched ribbon stamp and it looks as crooked as it would if I stitched it on my machine! 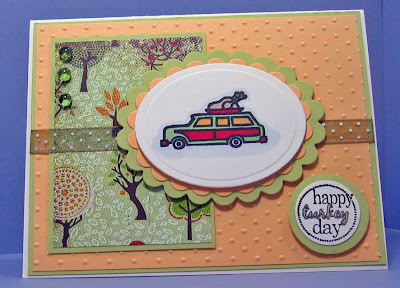 And this card is for the DTGD challenge by Natasha who gave us a sketch - which I really love! 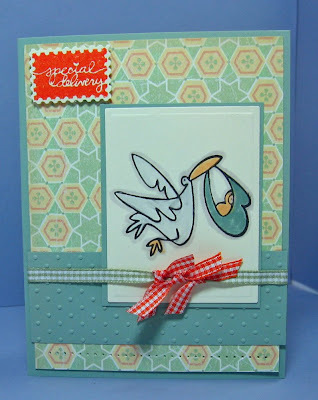 I used some pretty designer paper by Graphic 45 and my cute stork from Gina K (another loved but never inked yet stamp!) 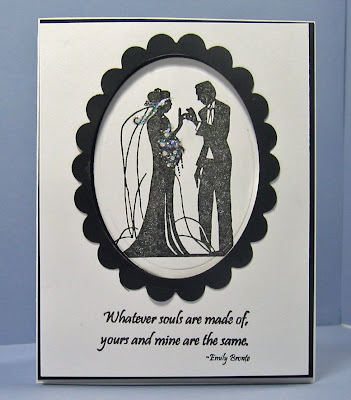 The sentiment (Special Delivery) is from a $1 G clear set from Michaels and was perfect for this card!I colored my image with Prismacolor and SU markers and cut it out and embossed it with my rectangle nestabilities. I pierced the bottom, cuttled the panel and added the ribbons. These challenges have been great - and I really appreciate all the behind the scenes work that went into this by a lot of dedicated people over at Split Coast. My heart felt 'thank you' to them all! And last but not least on my post today - look at the fun package I got in the mail! This was my blog candy winnings from my good blogging and SCS pal - Linsey! Hi Linsey! I received this wonderful Asian theme clear stamp set by Clear Artistic Stamps called Shadows of Memories and two wonderful AncientPage inks which I'm so excited to try out!! 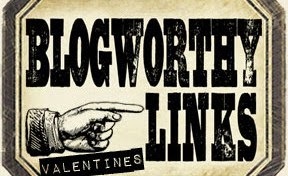 You really MUST check out Linsey's blog - she makes the most fun and creative things over there - so get a 'cuppa' - sit back - and browse through her projects - tell her Julia sent you!!! Charge It to My Friends! Thought that might get your attention! 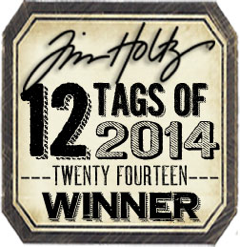 I was honored with this award by two blogging friends - Deena and Michelle - both of them have super blogs with wonderful things to show you so please check them out! 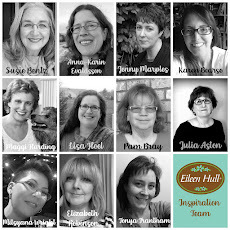 I have chosen the following people who are gracious enough to check out my blog and leave me nice comments! Please jump over to their blogs and see the wonderful work they do! You will be inspired I know! And I'd also like to say thanks to YOU for stopping by here to visit me! An Artful INKable Sketch - Please Join in the Fun! 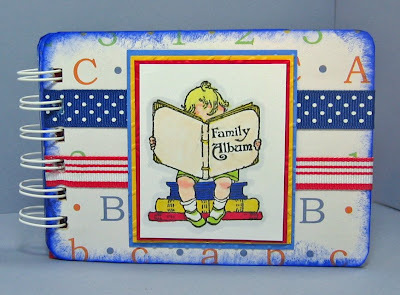 Every other week the Design Team at Artful INKables issues a challenge to it's members. You can check out all the deets on Kristin's blog. This is the card I made based on Jenn's sketch. I used my favorite (so far!) 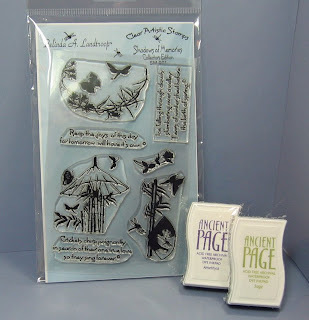 Artful INKables stamp set called Plant Prints. I just love the ferns in this set - I think they remind me of all the summers I spent camping as a child. My sister and I would take our blankets out in the woods near our tent and play for hours. I love the smell of the pine in the heat of the summer! 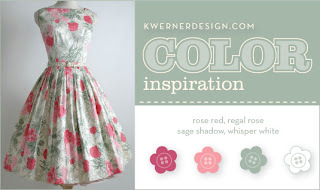 I used this great origami paper as background and source for my color choices. I stamped the images on white card stock and then restamped some, cut them out and layered them on the original image popping them up on foam dimensionals. Then I attached the strip of pretty velvet ribbon and some gem stones on the centers of the flowers. 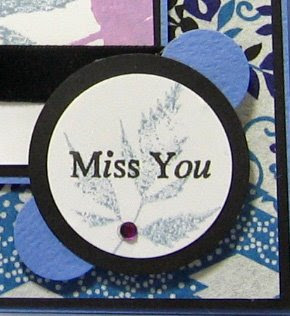 I overstamped the sentiment with a smaller fern and added a gem stone here too for a little shimmer. And now the exciting part- you are invited to join us by making a card using this sketch too! Just make your card and use the Keyword ARTINK when you load it in your Split Coast gallery. If you don't have a gallery on Split Coast - just leave a comment with the link to your card on the Artful INKable's blog. We'd love you to use Artful INKable stamps but if you don't have any (yet!) use any stamps that you'd like! We'd really love to have you join us in this sketch challenge! Hi everyone! I'm so glad you came by to see my fun little photo album project! 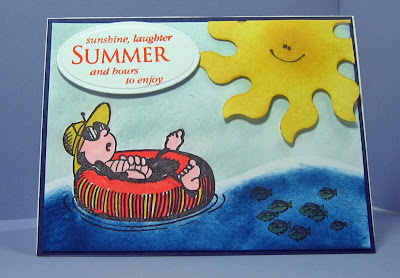 I made this for Carole's DTGD (Dare to Get Dirty) challenge over on Split Coast to use real red, brilliant blue and yo yo yellow on your card. I NEVER use these primary colors!! (at least not together!) and if I think of them I think of little kids and elementary school! - so I decided to make a little photo album out of two 5 3/8 inch by 3 7/8 inch coasters and my Bind It all. I used this fun alphabet designer paper for the covers and this wonderful stamp from the Crafty Secrets 'Story of Me' set that I've had for ages and NEVER INKED yet!! I stamped my image on white, colored it with copics and layered it on red, yellow and blue. I sponged the edges of the covers with Brilliant Blue ink. I used 3/4 inch Zutter white wire for the binding to be sure to leave enough room for the extra width of pictures that will be added later. I used real red, yo yo yellow and ballet blue (I had no Brilliant blue) card stock for the pages cut slightly smaller - 5 x 3 1/2. For the inside of my album I cut a nestability scalloped rectangle and stamped a label from Label Classics to cover the ends of the ribbons as well as provide a place to write in the contents of the album or dates or names etc! Well - despite using colors I wouldn't usually grab - I do like my little project that I ended up with!! and that's what challenges are all about right?!! A Happy Busy Day for Me! Wow! What a day I've had today! First, when I checked out who was the Featured Stamper on Split Coast before going to church this morning - I found out it was ME!!! That means everyone participating in the challenge - looks in my gallery and chooses a card to CASE (copy and selectively edit). And what I wanted to do was just stay home all day and go into the Featured Stamper gallery and see all the cards people made based on my cards and comment on them! But - first I had to go to church - and then I had to drive 1 hour to Manchester, NH to teach my very first class at a stamp shop called the Paper Tree. So I was gone to that from 11 - 4:30! Here is a picture of the class - where we made the cute little paper LL Bean-like bags that everyone is holding up! A happy shout out to Janice, Lynn, Maddy, Michelle, Kerry and Dawn! We had a great time making these today! 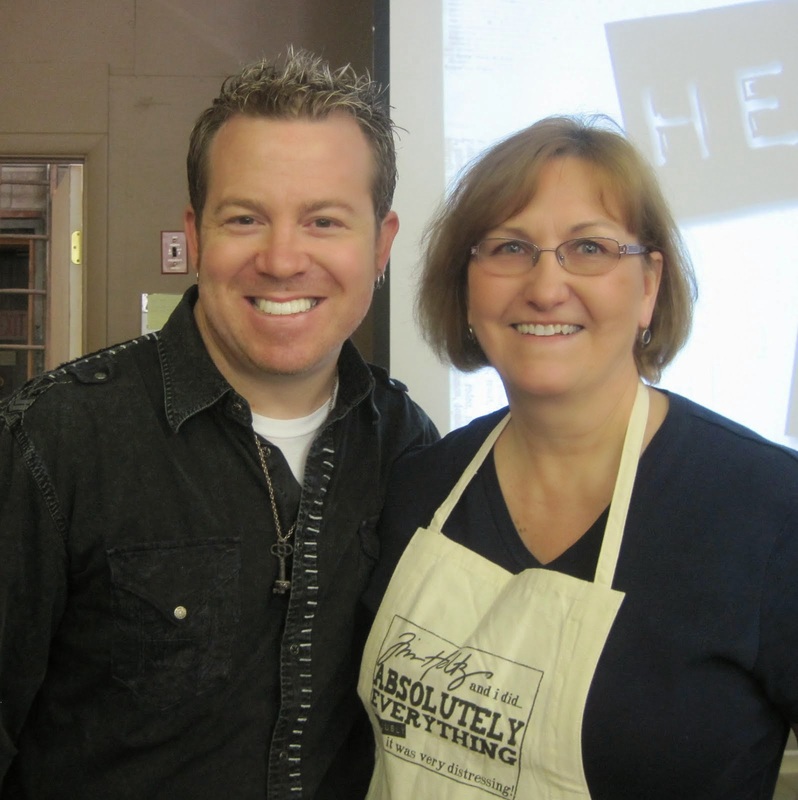 And thanks also to owner Michelle (not in pic) for inviting me to teach there! At least 3 of these ladies are on Split Coast. When I got home I was able to work on commenting on cards for about 1hour. Then DH and I had to eat supper - so we went out to Applebee's and then had to do a few errands (like get cat foood!). So finally at 8:30 pm I started my card for the Dare To Get Dirty Challenges being held all this past week at Split Coast. 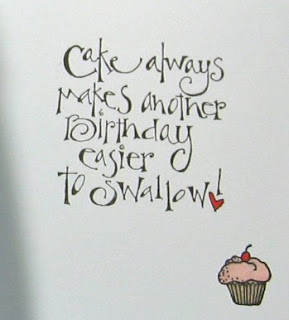 I thought with this card I was now caught up - but found out there are 4 more challenges for today! This card is for 3 DTGD challenges - Jen's sketch, Kittie's Make a Scene and Laura's make it dirty (distress, sponge & tear - not the other kind LOL!!!) I used a Kraft card stock base and layered on a green bazzill piece with sponged and distressed edges. Then I cuttled the 4 smaller squares putting ink on the folder so it came out two tone. I sponged and distressed the edges on these. 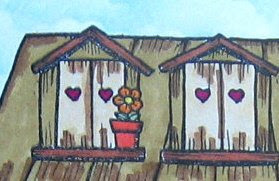 I made my little shack in the field scene with 4 separate stamps, colored them, sponged and distressed the edges. 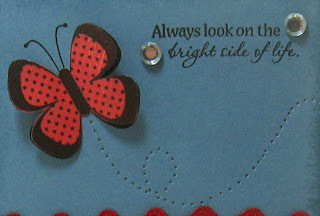 I doodled around the edge of the card and added the velvet ribbon and metal dots. Finally, I stamped the sentiment on Kraft - sponged and distressed. So - I'm exhausted from my day - but a very happy camper! Hi everyone! Today was a beautiful, sunny, hot day here in Massachusetts! We had my son and his fiance over for dinner out on the patio in the backyard - they had predicted rain earlier in the week for today so I cooked inside just in case but it was a wonderful day! They have 2 bassett hounds - Daisy and Roscoe - (my grandchildren! LOL!) who had a great time romping around in the yard! So my stamping had to wait until after they left and I have 6 challenges on my work table to complete from the Dare To Get Dirty Challenges this week over on Split coast! I'm trying not to panic LOL!!! 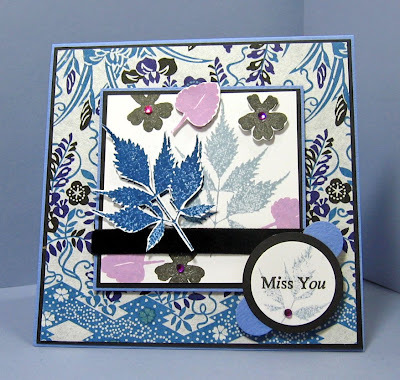 This is a flap card for Rose Ann's challenge - see her tutorial on how to make one on Split Coast here. It has cupcakes on it for Taylor's challenge to use those on your card - and I stitched around the edges of the card with my sewing machine for Julia's challenge to use stitching on your card. Phew! I haven't done much sewing on my cards so that was a REAL challenge!! The Basic Grey designer paper called Cupcake worked perfectly for this don't you think?! 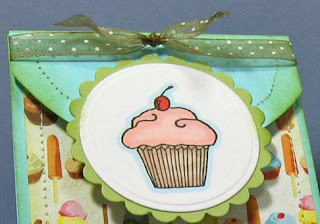 The two cupcakes are from Lockhart stamps and the fun sentiment inside is from Printworks. I used velcro for the closure instead of a magnet (in the tutorial) and I heated the ends of the ribbon with my hot gun to make it curl and shrink up. I sponged the edges with Certainly celery. You can check out all the Flap cards people have made for the challenge on SCS here. And all the cupcake cards here. And all the stitched cards here! Exciting news! I'm going to be teaching a class tomorrow up at the Paper Tree in Manchester, NH - we're going to be making little LL Bean-like summer totes out of card stock! You can see examples here as well as other kinds of bags I have made. 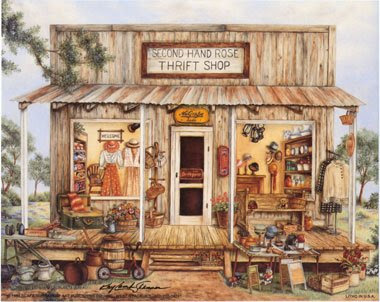 Wish me luck - it's my first time teaching at a stamp shop and I'm a little nervous! Yes folks - you can get anything you could possibly want right here on this post today!!! My two cards cover 5 challenges! I made this card for two Dare to Get Dirty challenges over on Split Coast - Jenn's challenge to be inspired by a cake seen here. 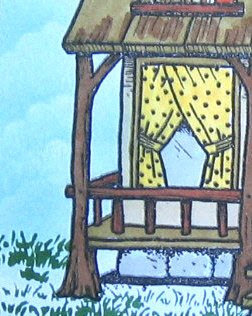 And Christine's challenge to use watercoloring on a card. I immediately thought of using this designer paper that I had. 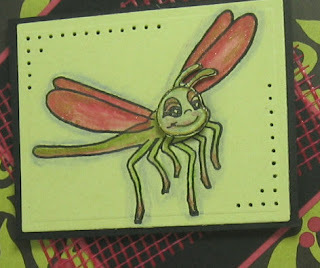 I watercolored this cute little dragonfly from Artful INKables Pond Friends set - using Prismacolor Watercolor Pencils and my aquabrush - layered it on black and red panels as well as some magic mesh and stamped the sentiment on the layered circles. I don't think you can see it too well - but I outlined my dragonfly with Spica gold pen - IRL it looks all shimmery. I also stamped another head and layered it over the image. The sentiment circles are up on foam dimensionals also. My second card is for three more challenges over on Split Coast. This weeks sketch challenge, Lauren's DTGD challenge to use monochromatic color and Michelle's DTGD challenge to make a masculine card! Here is the sketch - I turned it on it's side to accomodate my stamped image. 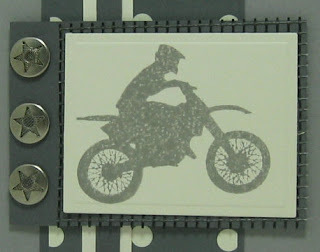 I used the biker stamp from Artful INKables Motorcross set along with Charbon designer paper from Stampin Up, Basic Gray and Going Gray for my card. I added magic mesh under the image and some star snap brads. 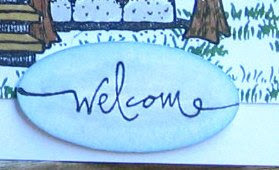 I stamped the sentiment on Vintage Cream by PapertreyInk - punched it with the small oval punch and mounted it to a larger oval piece of Basic Grey. So I got a lot of challenges covered today - and once again I'm getting to bed at 11:30 instead of 10! I'll try again tomorrow night! Don't forget the 10% off sale going on over at Artful Inkables through the end of July! Thank you SO MUCH for coming by! I really truly appreciate each of you taking the time to look at my stuff! I'll be checking out yours too! 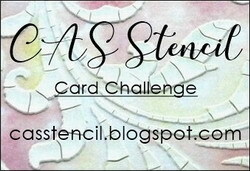 My card today is for two Split Coast challenges - a weekly Double Dare Challenge I do with a few SCS friends and JulieHRR's Dare to get Dirty challenge. This weeks Double Dare hostess is Itsapassion (Anne) and her challenge was to make a card based on the decoration theme of your kitchen and to combine it with a Dirty Girl challenge. 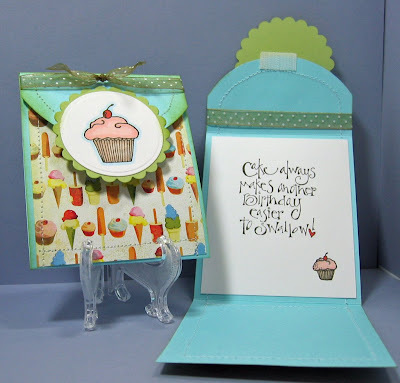 And JulieHRR's Dirty Girl challenge was to make a clean simple white card! SO- after all that explanation!!! My kitchen has a fruit theme -Apples, pears, oranges, and grapes on the wallpaper - and I left a lot of white on this card and used no layers except for the ribbon. Phew!! It was harder to leave space on my card then to fill it up! You can see the other Double Dare Kitchen cards here. I'm off to bed - I keep promising myself I'll get to bed by 10 and here it is 11:30!!! This is a multipurpose card here! First I made this Artist Trading Card (ATC) for Julee's challenge over at Verve Visual Blog to make an ATC using Verve Visual stamps. 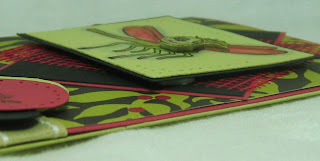 An ATC is a little card 3.5 x 2.5 that is just a panel. 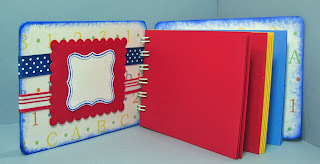 Then I attached the ATC to a few more panels and to a card that I embossed with the Cuttlebug Fantasy Floral folder. 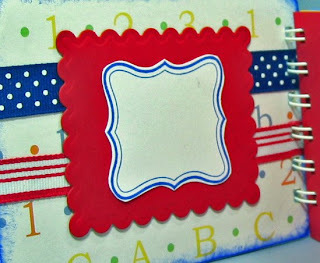 And this card was for the Split Coast Dare to Get Dirty Challenge from Jody - to use ribbon on your card. You have to be a member of the Fan Club on Split Coast to participate in these Dare to Get Dirty challenges - so if you aren't a member - head on over and sign up and get going on the challenges. They will be happening all week long! I used this beautiful plum pudding PapertreyInk ribbon over a lovely Anna Griffin designer paper. 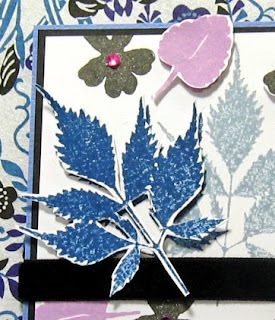 I stamped and cut out a Verve Visual flower and added stickles to it. The sentiment is cut out and framed with Nestability rectangles. 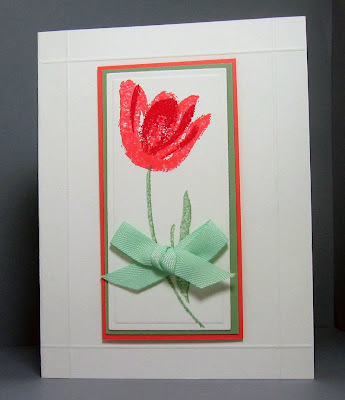 To finish it off - I added dew drops to the centers of some of the embossed flowers. And last, but not least! 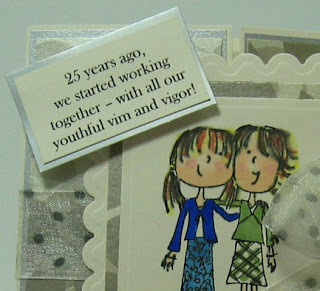 is my card for the Dare to Get Dirty 08 challenge from Laurie - to use vellum on your card. This is only the 2nd time I've sewn on a card and I felt better about how it came out this time - more even stitches and straighter lines! Practice makes perfect as they say! 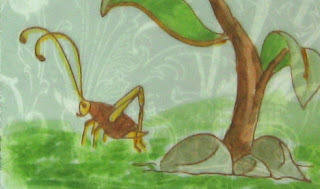 I cut away the vellum close to the stitching and then distressed the edges of the DP and sponged them with Sage Shadow. I cut the sentiment shape with my Spellbinder Tag trio die - wove the PTI ribbon through it and attached the ends on the back. The tag is up on foam dimensionals. I added the 3 flower brads on the side. And just a reminder: Kristin is offering 10% off all her stamp sets over at Artful INKables through July - there's only a couple more weeks - so hop on over to get that set you've had your eye on before the month is over!! Stamps: Artful Inkables: Thought I'd bug You. 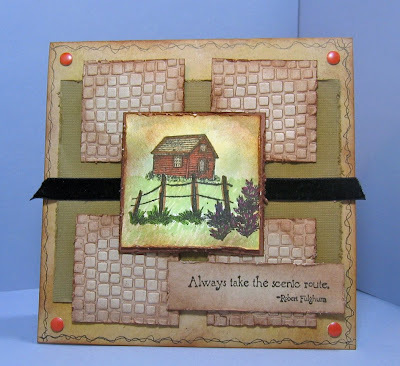 You can see Beate's tutorial for a gatefold card here. I attached a ribbon under the front panel, around the back to the other side so my card can tie shut. 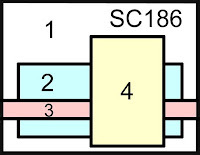 Basically the card is 4 1/4" x 8 1/2" and you score it at 2 1/8" and 6 3/8" holding it the long way. 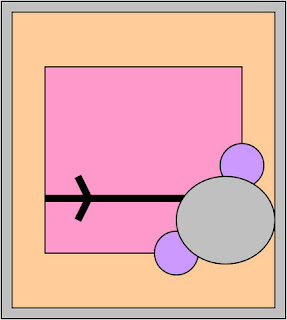 Here you can see the ribbon going under the image and around the back. 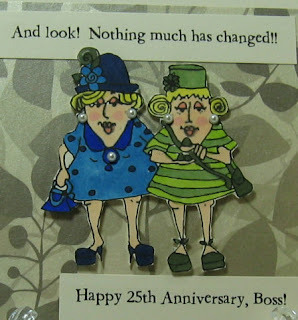 A friend at work asked me to make an anniversary card for her to give to her boss - they have been working together for 25 years! So it's their Silver !! LOL! !and she wanted it to be humorous. So on the front you see these 2 young ladies talking about starting out together. And on the inside you see these two 'older' ladies talking about how nothing has changed over all that time!! Here you can see how the front panel overlaps the left side and where the ribbon comes out. A Pretty New Home, a Teapot and 10% off ! A Plant Print Gift Bag - Stamps Available Now!